1. He is a proven calving ease sire, with proven maternal traits. 2. Domino adds SC, fleshing ability and milk, with impressive udder quality. 3. 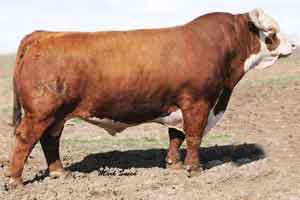 He is a trait leader in CED, BW, Milk, M&G, CEM, Udder Susp, Teat Size, REA, Marbling, BMI, CEZ, BLL and CHB.